“Making Money with Apps in Your Spare Time” Tips & tricks for generating profit-building apps for WP8/Win8. Jimmy will review what worked and what didn’t for him. He’ll display analytical data to support his findings and demo cross-platform efforts using HTML5 running at 60fps! 200+ attendees with very positive feed back. The tournament software is a web based and mobile optimized solution needed for our growing tournaments. After volunteering to run the pairings and scoring for local grade school chess club tournaments, we ran into multiple bottlenecks. We tried different open source softwares and none could support larger groups than 50 without delaying the tournaments timeline even with multiple scorekeepers. I designed a web based solution designed for mobile and tables that allows multiple scorekeepers to enter scores at the same time. The software allows for quick corrections by coaches and exception without halting the full tournament. The parents could also see their children’s scores win real time. We have ran multiple tournaments with 200+ students all of which ended on time or a head of schedule all paperless and without cables. All registration, scorekeeping and pairing were done on mobile devices or tablets. Other tournament software were limit in the pairing algorithm. The new system took into account grade, school, previously played opponents, and ELO ranking. All the weights can be adjusted on the fly as seen fit by the coaches. Once pairing are created, the students start finding their next table, often even before we announce a new round. Almost 2 million download in the windows phone marketplace. Combined with windows 8 store, we are over 2 million. Roller Coaster ranked #1 in all game for a week in the window phone marketplace. Roller Coaster is a simulation game built by my brother(Mark Dickinson) and me using XNA and Silverlight. Speed the card game for the Windows Phone, Windows 8, Facebook, AppUp, and web. Speed a card game also known as Spit or Slam, is very fast-paced game and it could result in damage to the cards — so play this on the phone and don’t ruin your actual playing cards. Speed is a game for two players of the shedding family of card games, in which each player tries to get rid of all of his cards. Speed is a game associated with the game Nertz. Solitaire (Klondike)- Single player or challenge a friend online! Play different skill levels. Earn achievements as you play. Earn up to 5 stars for a perfect game. Replay previous levels to master a difficult deal. Track your progress. Roller Coaster Is # 1 Top Free Game on Windows Phone in the US, Japan, Italy, United Kingdom, Germany. 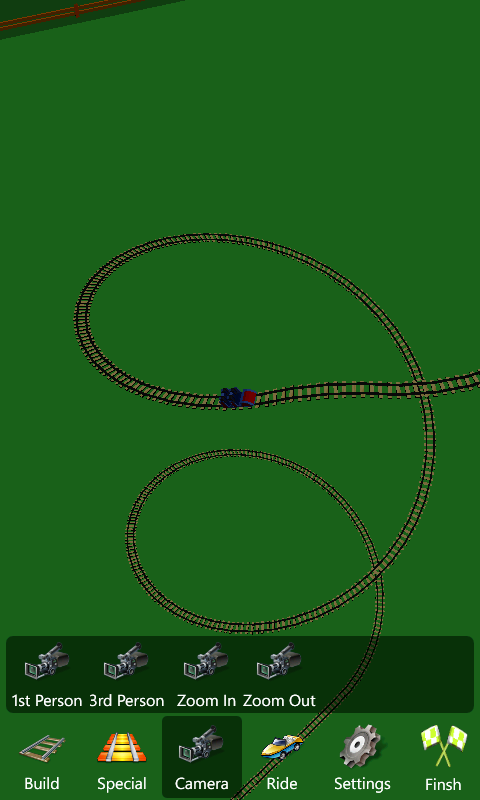 Roller Coaster is a simulation game built using XNA and Silverlight. This was joint project with my brother Mark Dickinson and me. Build and Ride Roller Coasters! 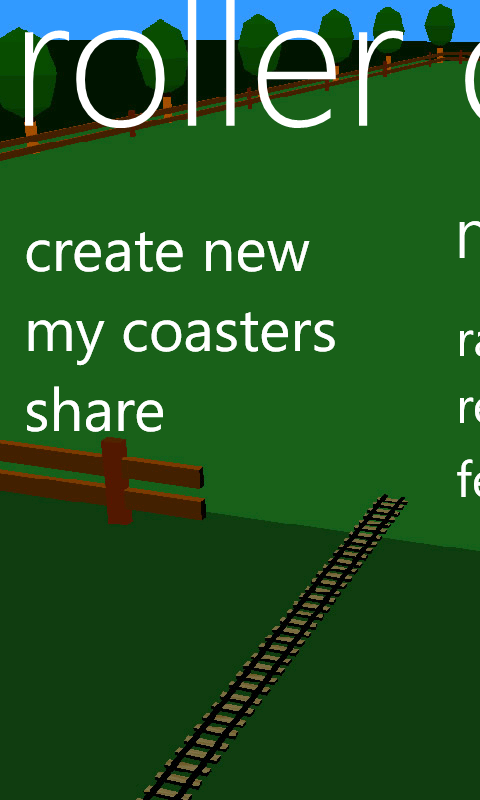 A Easy to use yet flexibly builder allows for very creative coasters. Create loops, spins, and even go upside down. Coaster stats show a general snap shot of your coaster. Multiple Viewpoints, with the ability to look around while riding in realistic physics. Customize your coaster with multiple themes including classic and Halloween.